I find the traditional vinyl faced doll from America a little creepy if I am honest, so each year I have bought a cute cuddly Elf. Our Elf actually stays with us, Pickle can’t bear to part with him on Christmas Eve. So he stays to enjoy Christmas then just goes away with the decorations. 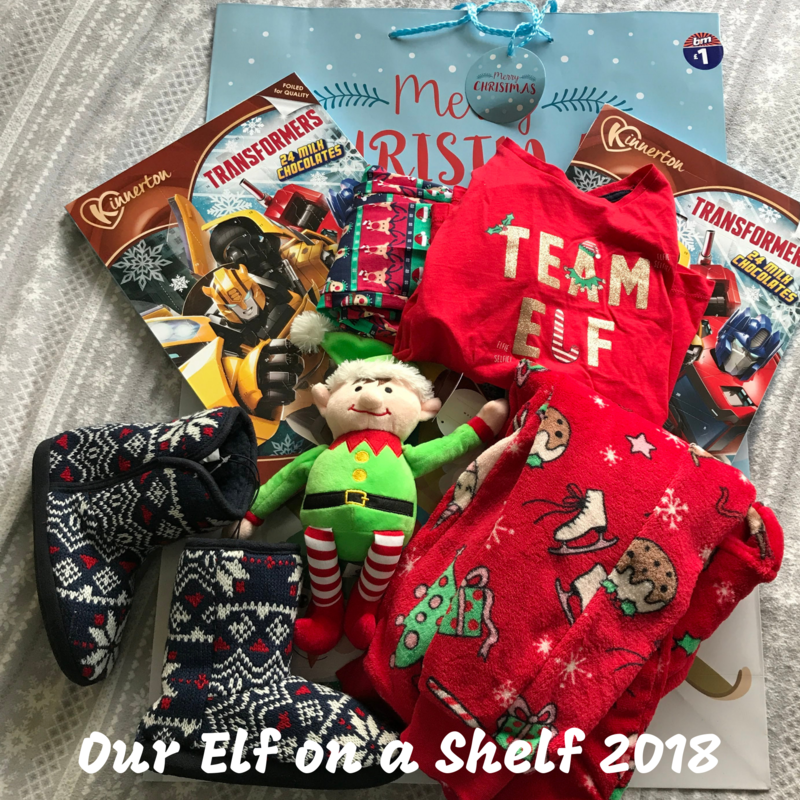 I used to get a bit stressed about finding something for him to have done every night, and would remember as I was heading to bed, exhausted and not in the mood for a naughty elf!! 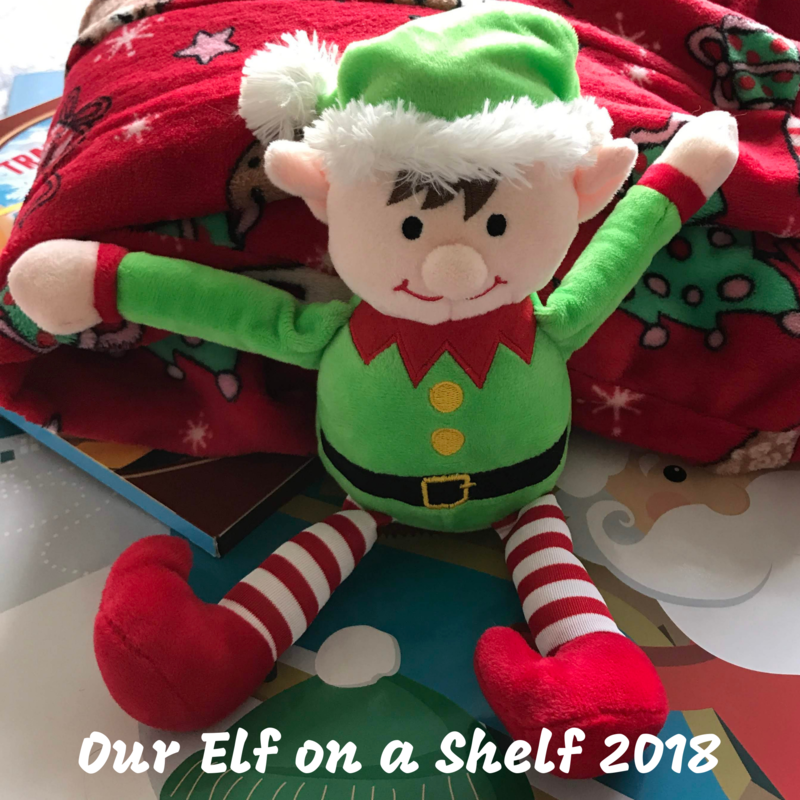 So, our Elf just chills with us, watches movies, comes out and about with us – all the while keeping Santa up to date with how Pickle is behaving. 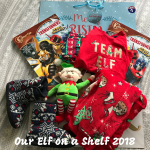 Our Elf arrives on December 1st and this year is bringing some cosy Christmas pyjamas, new slippers and a onesie for Pickle plus a sticker book and his Advent Calendar plus new pyjamas and dressing gown for Luke – with an an Advent Calendar for him too. 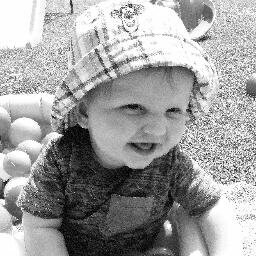 This is the first year that it is just the boys at home – my daughters are coming home later in December for Christmas. I have bought a huge Christmas bag with an Elf on it which will have all the goodies inside. Giant bag £1 B&M Bargains. Advent Calendars – 79p each – Aldi (They are £2 for exactly the same in other stores). Pyjamas and Onesie for Pickle – £9 and £10 Peacocks plus I had 20% discount in the Black Friday sales. Super soft dressing gown for Luke £9.99 – Aldi. This is SO cheap! It is excellent quality and others I have seen are from £18 – £29. 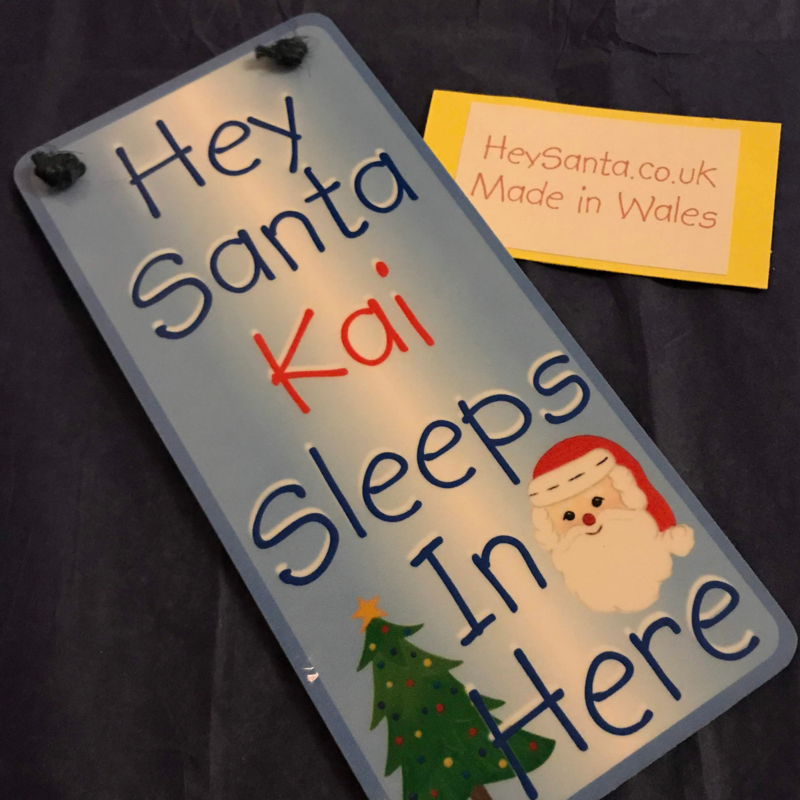 I am also popping in this lovely sign from Hey Santa, you can read my review about it over on my Pembrokeshire Mum blog. Do you take part in Elf on a Shelf? If so, what have you planned for this year? 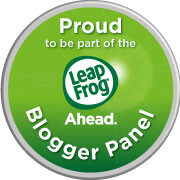 *I Have shared this with you just because I wanted to! We’ve been doing this for the last 8 years and the kids absolutely love it. I have to admit Im struggling to come up with new ideas now! Elf on the Shelf has gone down well in our home. I always like to see what others do for their Elf on the shelf. Love the photos. 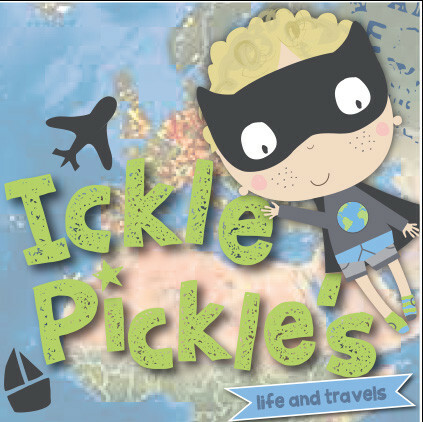 Some great ideas for those with little ones. Maybe I should start it for Mr W!